What camera has internal file storage memory that is not on the card? X100S to begin with . I have often left my card at home and was able to take about 10 photos with internal memory. I then plugged the cable in to my computer and dragged them to my desk top. But the other day I managed to transfer them to my card . I will try again and inform later. If nothing else you can upload them from internal memory to PC then load from PC to card via card reader. I suspect that the X20 will be closer to the X100s in the way the menus align but the basic principle is the same. The trick is to be in image viewing screen then push the menu button. yes, it works. I connect my camera to the pc via USB and downloaded all the photos. Thank you for your help. X20 menu has no copy button. I manage to solve the problem. Thank you. Page 104 of the manual if you care to look. Yes, I saw pg104 but when i press the payback menu , I cannot find the copy. May I know where is it? If it's like other Fuji camera press the playback arrow then press the menu button. Brilliant. I found the copy option. This is my first fujifilm camera so I am unfamiliar with the buttons. I thank you for your help. You are a kind soul. Here is how you copy photos from the camera memory to the SD card. a) Turn on your X20, on the back of the camera, look at left side and you will see the Playback button. Press it to enter the Playback mode. Press the Menu button to show the Playback Menu (green tab), turn the wheel to the right until you see the Copy option. Select and click on the Copy. c) Select to copy from camera memory to sd card or the other way around. d) Select the images you want to copy. Hope it is clear now. Just a reminder, all this instructions and many more are in the Owner's Manual. If you don't have the Owner's Manual you can find it at the Fujifilm X site. Thank you K1W1_Mk2. I was looking for the solution to copy from internal memory to card and you pointed it out. I lost the 'usb' cable and no standard cable fits. How can I do this on my x10 when I am not able to view the photos only saved to internal memory in playback menu (becase sd card is inserted)? See my post further up about how to do it with the X100. From memory the X10 works the same way. If not the user manual for the X10 is available on line from Fuji and the procedure is explained in that. That is correct you can't. If you take the card out and push the playback menu you can see the images on the internal menu. 3. Select either Frame or All Frames depending on whether you want to copy individual images or all of them. The camera will copy the images selected to the card. I can only view the photo when the SD Card is out. However, I cannot Copy the photo to the SD Card when the SD Card is out. Follow the instructions I posted it is a very simple process. NO you cannot see the photos with the card in BUT YOU CAN copy them to the card and once they are ON THE CARD you CAN SEE the photos. You are on you own. Foodforthabees is correct when they said you cannot view the images saved on internal memory when there is a card in the camera. You can only view the internal memory images when there is NOT a card in the camera. 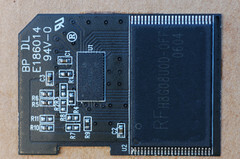 Without a card installed you CAN see the internal memory images, but if you try to COPY, it says "No SD Card Installed!". An obvious bug / catch 22 that I hope Fuji fixed on subsequent cameras. I'm a Mac person, so PC people will have to modify. You can also check off the option to "delete after import" to clear the images from the camera memory. If you're on a PC you could also use the Fuji software that came with the camera to import the images, but you'll need to attach the camera as mentioned above.